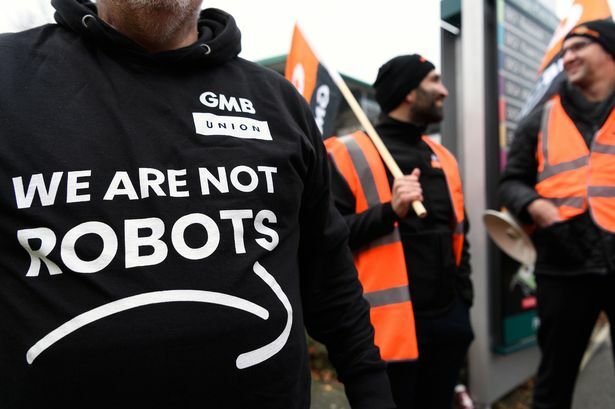 Amazon.com Inc. workers across Europe are staging protests today over what trade unions described as poor working conditions at the company’s warehouses. The walkout coincides with Black Friday, one of the busiest times of the year for online retailers. Switzerland-based UNI Global Union, which is coordinating the protests, said that about 2,400 workers are participating. Strikes have been planned or reported in the United Kingdom, France, Germany, Poland and Italy, but in a statement to Fortune, Amazon denied that personnel from last two countries have joined. GMB, the trade union organizing the participants in the U.K., stated yesterday that the goal is not to disrupt the company’s Black Friday operations but rather to raise awareness about workers’ conditions. The group claimed this morning that hundreds of Amazon staffers from five different British warehouses are holding protests. In May, a regulatory disclosure obtained by GMB revealed that ambulances had been called out 600 times to the online retailer’s U.K. facilities over the past three years. A single central England warehouse with 1,800 year-round employees and an average of 2,000 seasonal staff accounted for 115 of those calls. According to GMB, a nearby retail facility with 1,300 employees saw just eight calls in the same three-year period. The union cited these figures as one of the reasons it’s organizing the strikes. Amazon, in turn, has strongly denied the accusations. Today’s protests mark just the latest example of Amazon employees publicly coming out against the company’s practices. Staffers in Germany and Italy also staged a strike during last year’s Black Friday sale, while Amazon’s Prime Day this year saw protests as well. Amazon’s treatment of workers has also come under fire in the U.S. In a bid to address the criticism, the company recently raised the minimum wage of all 350,000 workers it employs nationwide to $15 an hour.